Libro programs are built for you by your nutrition professional and shared directly to your Libro account. Programs are a combination of events, articles, videos, meal plans, recipes and more designed to help you with your diet and lifestyle goals. 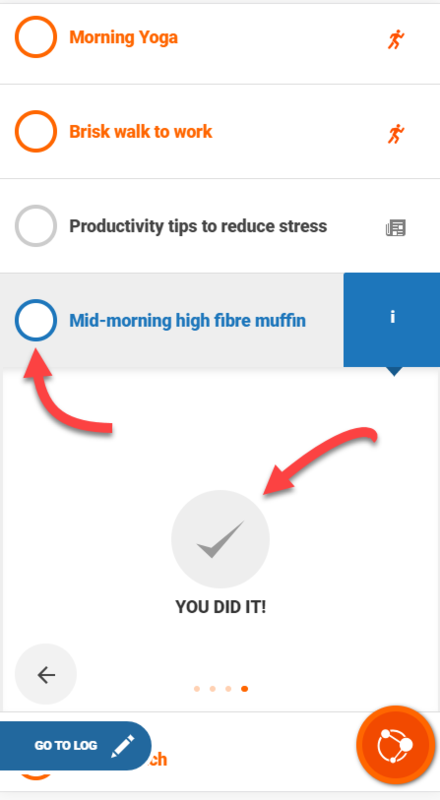 If your nutrition professional assigns a program to you, you will be notified by email and the next time you log in to Libro, your program will be visible on your home screen above your trackers. 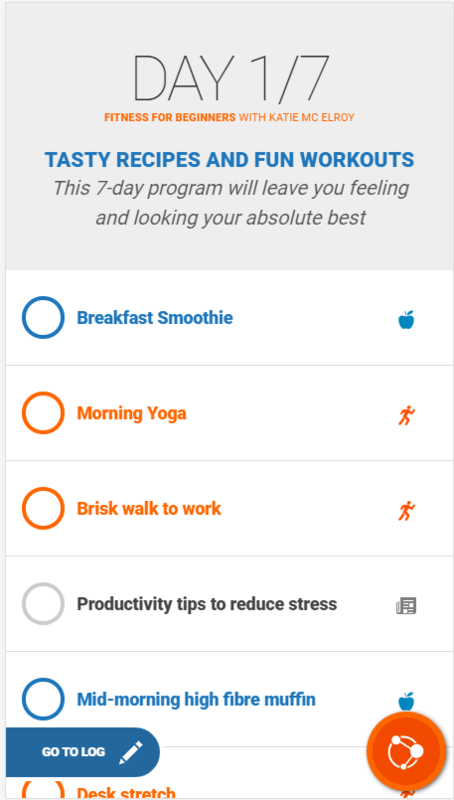 On the home screen you will be able to see what day of your program you are on, and the program items will be listed underneath. 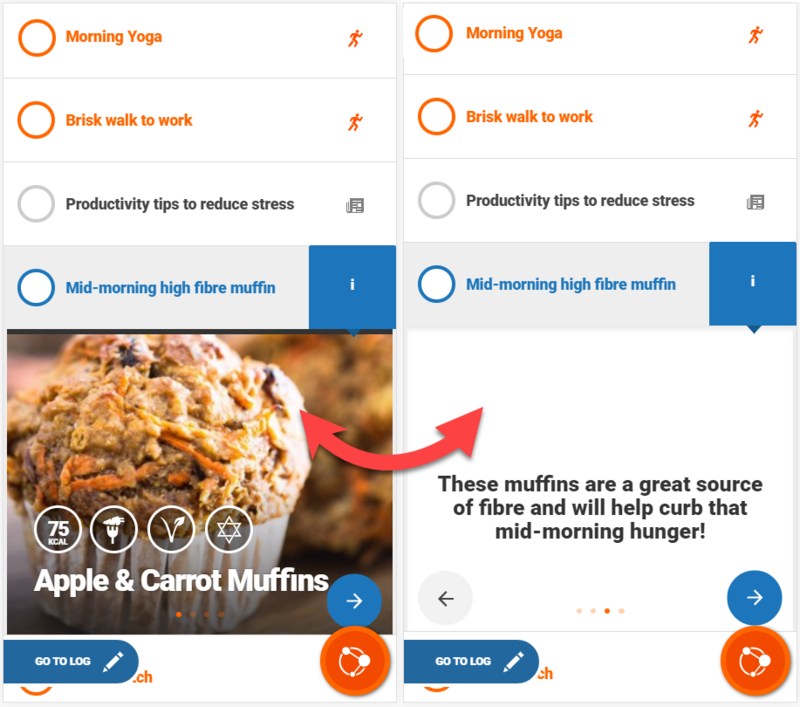 Item types include exercise, meals, meetings, articles, forms, videos and notifications. Click on an item to see more information on it. Swipe left and right or click on the arrows to navigate between different panels of information. When you have completed and item, click on the circle icon to the left of the item name to mark it as complete. Alternatively, click on the item to open up the panels, and swipe to the last panel to mark it off. Completed items will have a line through them. You can click on a completed item to set it back to incomplete.